Let the picture do the talking . This dish is by Kim Gary that came with a set, included with a drink, soup and a jello thing. Peter and i are always a big fan of Tong Lou Wan’s deep fried wang tan. It has been a year since the last time we went to the place. Two weeks before we went there to celebrate our 2nd year anniversary. It is located at the busiest computer accessories shopping place in town-Low Yat Plaza, Bukit Bintang, which is easily accessible through KL Monorial. I ordered curry Porkchop while Buu ordered Beef Brisket. 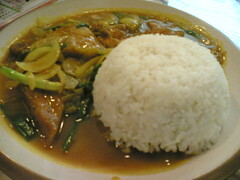 My curry Pork chop was a mixture of chinese cuisine cooking style and Malay cuisine’s most common ingredient-curry. 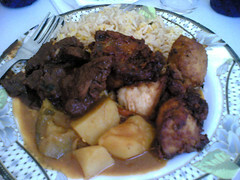 As usual, the rice come with a generous portion of chicken steak and rich curry and onion gravy. 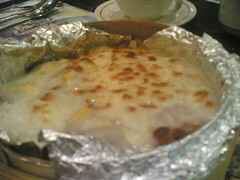 I would say that this is one of the advantages of eating in Tong Lou Wan compare to their competitor- Kim Gary. 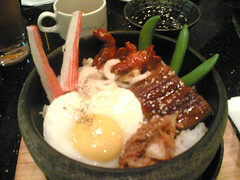 Kim Gary’s rice are smaller in size in general and much expensive. 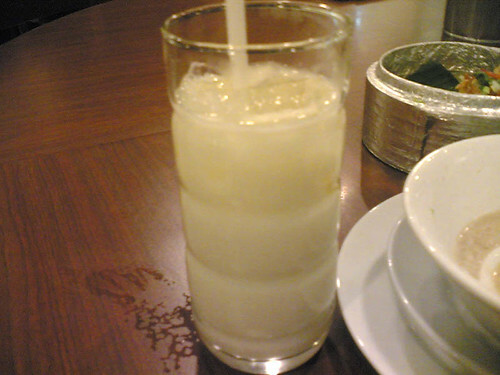 Well, it tasted special, but the tingling sensation of the spices was too much that it covers other tastes. Buu’s beef brisket was recommended by John. 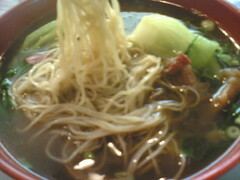 They serve the thin noodles together with pieces of beef and some vegetables. It was an ideal normal chinese noodles but the good thing about the dish is the ‘beefy taste’ wasn’t that strong. 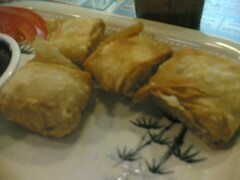 However, the last dish-Deep Fried wan tan was the best of all. The crunchy wan tan skin, together with the hot and fresh pawns, the Deep Fried Wan tan never fail to impress our taste buds. The quality was as good as before even though it has been a year since the last time we have the dish. Well, it will be no doubt that the next time we go to Tong Lou Wan, Deep Fried Wan Tan will still be the first in our list to order. 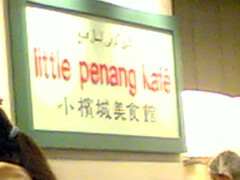 Located at the fourth level of KLCC shopping mall, this franchise banks in on commercialising famous penang hawker food. Like all franchises , some succeed and some don’t. This one in my opinion …. is mediocre. The problem lies in the commercial value of the dishes served. Hawker food focuses more on taste and speedy delivery while franchised hawker food like this focus more on presentation at the cost of taste. I ordered Lam mee. Presentation wise it was ok but it was tasteless. There were alot of ingredients in it but nothing gave it a taste. I’m not too keen on the design of the glasses either. It looks like a 500ml mineral water bottle cut in half -_- . So to recap…. I don’t think I’ll be dining here again. 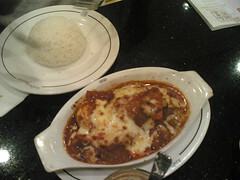 Haven’t been blogging for awhile now as there wasn’t anything special eaten. Recently I ate something new ( to me at least ). 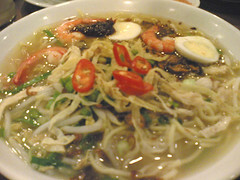 It’s called thai style mee :O~~~~ . Delicious! It’s looks pretty simple to make too. 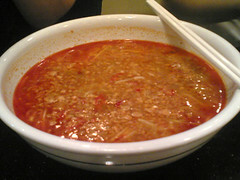 It consists of flat noodles, sesame oil, mince meat, kai lan and chicken feet. 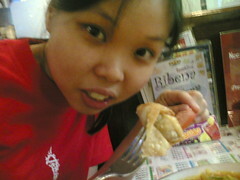 I don’t eat chicken feet so I donated it to my friend. It also comes with a bowl of soup. A small plate costs RM 3.00 while the big one costs RM 3.50. It is definately worth it.